These Kobe System Ads Are HILARIOUS! After the burn that Kobe served to Aziz Ansari in the first Kobe System spot I saw, I honestly thought it was a one time deal. Totally wasn’t expecting there to be lulz in any of the ones that came after it. Boy, was I wrong! 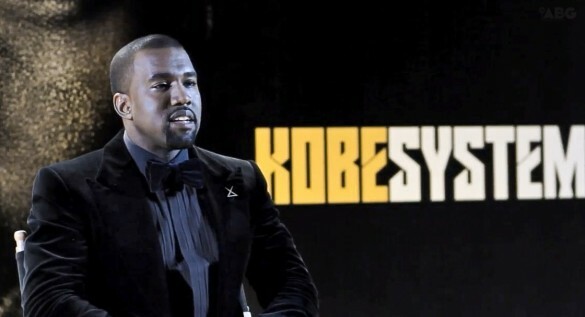 The latest with Kanye West and Kobe still has me rolling. Check it out! I’m Bringing Sports Back with The Kobe System! I don’t know what it is about Basketball star commercials, but more often than not they are simply awesome! Case in point, Kobe Bryant’s latest for The Kobe System. Lots of high profile cameos were a very nice touch! LOL at Kobe saying “you got here by accident” to Aziz Ansari. Dead. Note: I had stopped posting about sports here because I was thinking about doing a completely separate blog for it. After a year, and not having ever set up said new blog, I returned to my senses. Not gonna happen. So my obsession with sports shall return here! Deal with it! Utah Jazz Fans are Funny! So, if you’re a basketball fan you know the LA Lakers are playing the Utah Jazz in the Western Conference semifinals of the NBA Playoffs. You probably also are aware of Lakers star Kobe Bryant’s very “interesting” photo spread for LA Times Magazine. If not, click here. I don’t know what he was thinking, letting stylist James Valeri get him in those outfits, but what’s done is done. The blogosphere has been clowning the Black Mamba ever since the photos surfaced, and now Utah Jazz fans are piling on! The pics of them trying to get into Kobe’s head during the Jazz home game tonight were hilarious! Classic, even. I give them an “A” for effort. Too bad, for them, it didn’t work. Lakers won and lead the series 3-0.